When you purchased your Kia you made a wise choice. Because Kia cars, sedans, and SUV’s are reliable and cost-effective investments. At Mike’s Auto Service, we know exactly how to protect your investment, all within a budget. 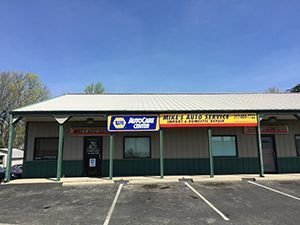 As a NAPA® authorized auto care center, our clients know they are getting the highest quality Kia service and repair at the most competitive prices in Greenwood, Indiana. We are ASE certified mechanics that provide a wide range of KIA services, including factory scheduled car maintenance, tune ups, minor repairs, major repairs, replacements, and more. And since we use all NAPA® and OEM auto parts, you can feel confident knowing that your KIA is safe and reliable when you leave our shop. We are family owned and operated business that is devoted to honesty and sincere customer support. As our client, you are highly regarded and treated like a priority. We take the time to listen to your concerns, and never use confusing industry jargon when discussing your auto care requirements. Our ultimate goal is to provide high-quality KIA repairs at a fraction of what the dealerships would charge. You deserve first-class automotive service and repair for you Kia, and we can give that to you at an affordable price! Call 317-889-7722 to request a quote or schedule an appointment, today.